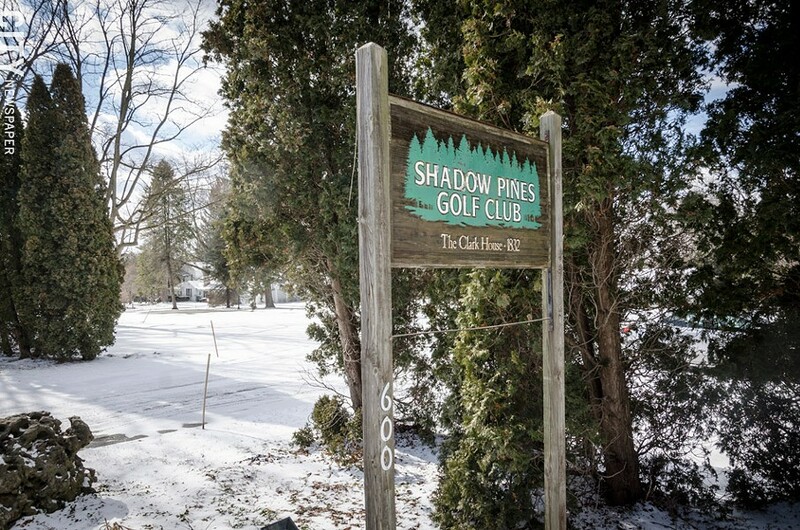 PHOTO BY MARK CHAMBERLIN Shadow Pines golf course in Penfield is up for sale. The Dolomite Group's plan to sell two Penfield golf courses caught town officials by surprise and has them scrambling to exert some control over the future of the properties. The Town Board will consider enacting a temporary moratorium on development of the land at an upcoming meeting. Dolomite put Shadow Lakes and Shadow Pines on Atlantic Avenue up for sale last month. It's marketing the 200-acre Shadow Pines course for residential development, but trying to sell Shadow Lakes, also 200 acres, as an operational golf course. Most people in Penfield assumed that the properties would always stay golf courses, says Penfield Supervisor Tony LaFountain. The moratorium, which would last a minimum of six months to a year, would give the town time to pursue options for the properties, he says. It could alter zoning laws, LaFountain says, pursue a buyer or buyers who would continue operating the sites as golf courses or other recreational uses, try to convince Dolomite to donate the land, or explore the purchase of the property. The Town Board will put together a committee of residents and officials to work through the options, he says. In a letter to Penfield officials, a Dolomite executive says that the company is willing to sell the land to the town. The properties are zoned to allow residential use, and half-acre lots, LaFountain says. And residents say they've heard that a developer wants to build as many as 290 houses on the Shadow Pines land. But Kate McArdle, who is part of a group of town residents organizing against development of the land, says that the courses are essential green spaces in the center of Penfield. Residents worry that a large housing development could exacerbate existing traffic congestion in the area, she says, place a substantial burden on the Penfield school district, and cause environmental damage. Town officials echo those concerns. They're also worried about the impact on storm and sanitary sewers, as well as other infrastructure, LaFountain says. Ideally, the town, school district, or both will find a way to acquire and preserve the properties, McArdle says, or the community will find a buyer who will keep the land for recreational use. It'd be even better if Dolomite donated the land to the town, she says. At minimum, the town should revise zoning laws to limit the number of houses that can be built on the sites, she says. A public hearing on the moratorium will take place at 7 p.m. on Wednesday, March 2, at Penfield Town Hall, 3100 Atlantic Avenue. The Town Board will vote on the moratorium during its March 16 meeting.